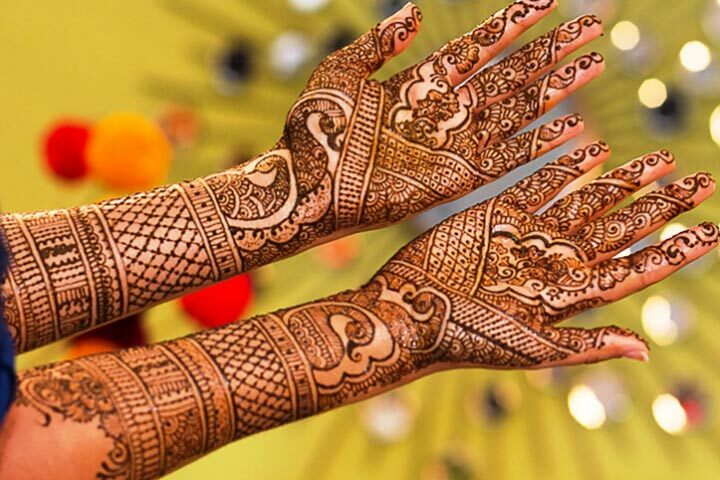 Choose from the best and most intricate mehendi designs for upcoming weddings! 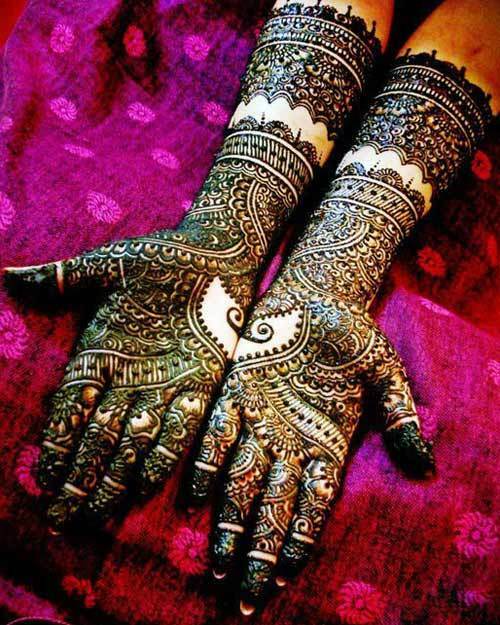 Applying mehendi is one of the most loved part of dressing up in most of the Asian cultures. 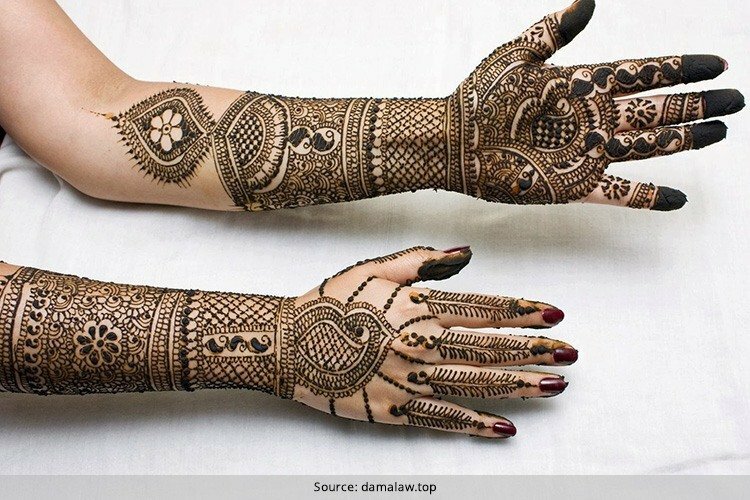 This temporary form of skin decoration is practiced mainly in India, Pakistan and Afghanistan, but has also found favor amongst women in other countries because of the media exposure it has received. 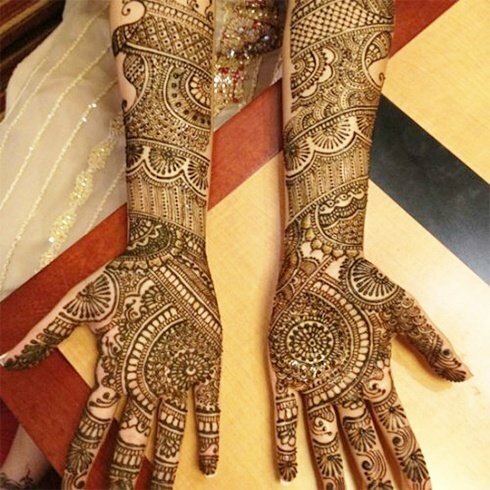 Mehendi is an integral part of festive occasions, mainly weddings, traditional and religious ceremonies. It is also applied generally by many just for the love of it, and also used as a temporary tattoo. The earliest application of mehendi on the body is traced to Egypt, where hair and nails of Egyptian mummies were stained with reddish brown tones of mehendi. 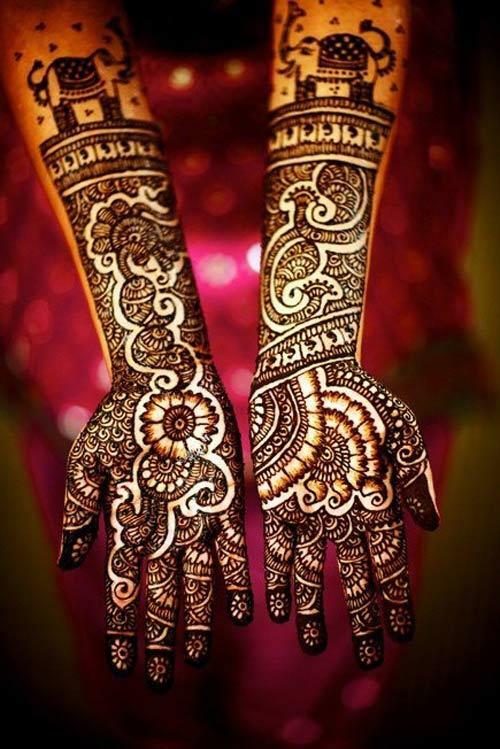 The mehendi plant came to India around 700 AD, and since then has been in use to decorate hands and feet. 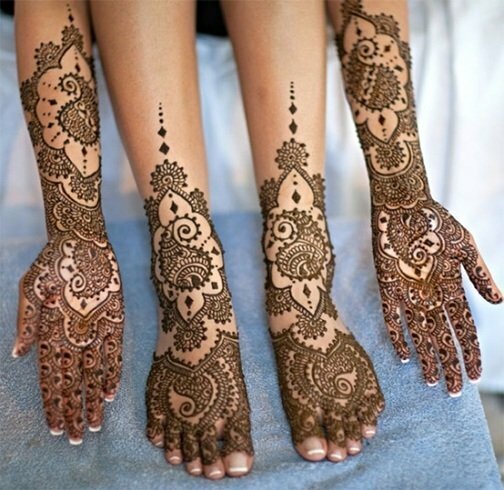 While it is known as mehendi in India, in Muslim countries it is known as henna. Each country has its own unique style and designs. There are variations in style region-wise as well. Earlier, thin toothpick-like sticks were used for applying, but it was very time consuming. Cones made of thin plastic made the application process easier and faster. 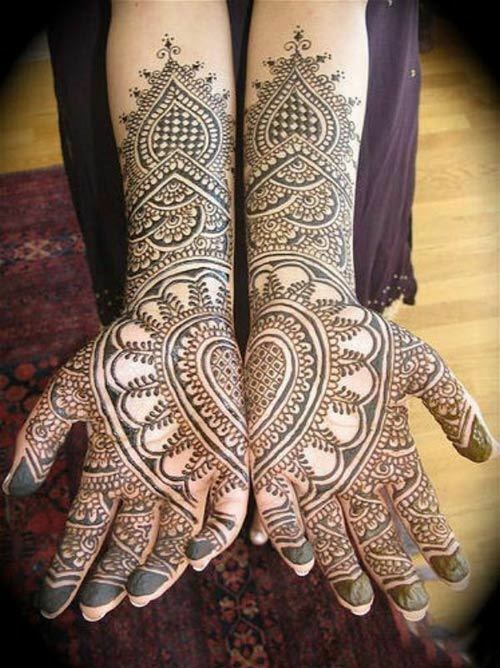 Indian style of mehendi has many variations in terms of designs. From Rajasthani to Marwari, South Indian style to the Gujarati mehendi, Mughlai designs, fusion of Arabic, Pakistan and Moroccan designs – the choices are innumerable. 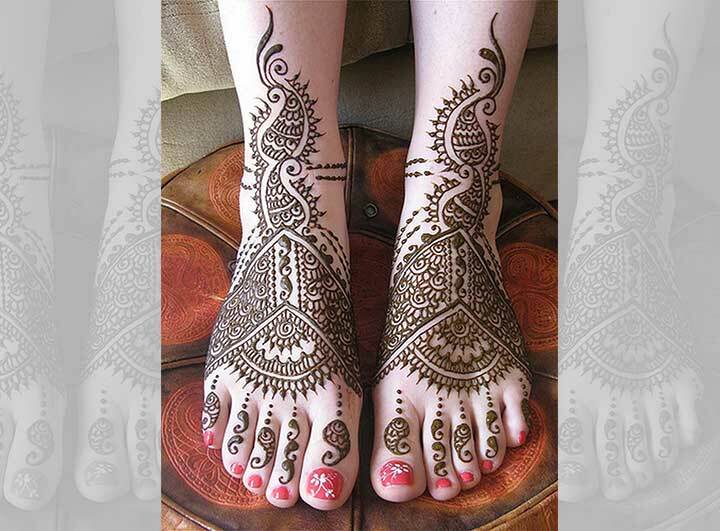 Some like it simple, while some want a detailed, intricate design to adorn their hands and feet. Lets take a look at which designs in India are famous for their detailing. 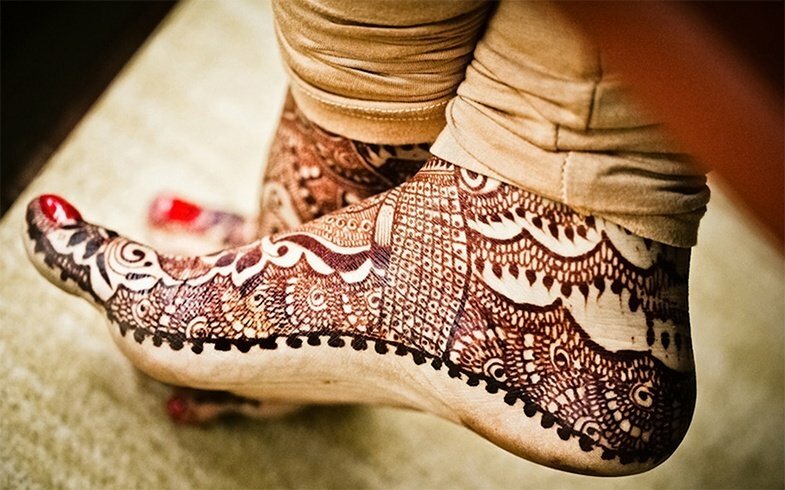 The Rajasthani or Marwari mehendi designs mainly represent the dance, folk, tradition and colors of Rajasthani culture. 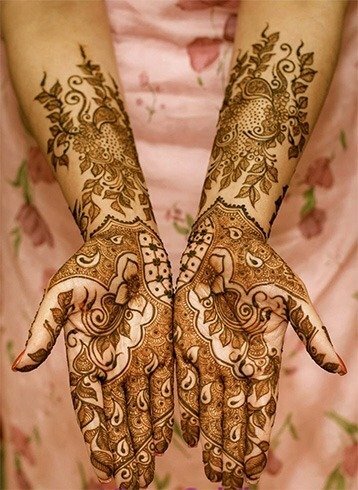 The detailed and intricate designs are the unique representations of henna in the form of flowers, leaves, the peacock shaped designs that reflect the Indian culture and tradition. 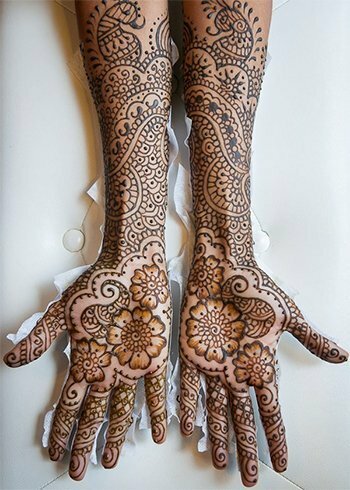 The most important part of Rajasthani mehendi design is the mirror reflecting art, where designs of both the hands and legs are exactly the same. The designs are mirror images of each other. 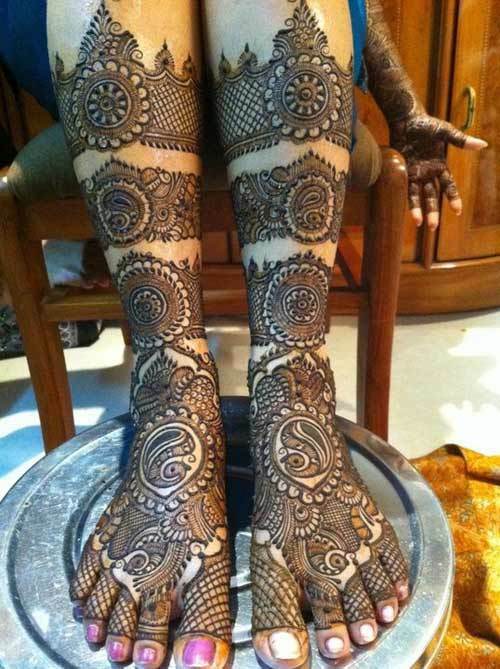 For this reason, Rajasthani mehendi style is considered the most difficult. It requires a lot of practice and the artists who can apply Rajasthani mehendi intricately without any flaw are considered extremely talented. 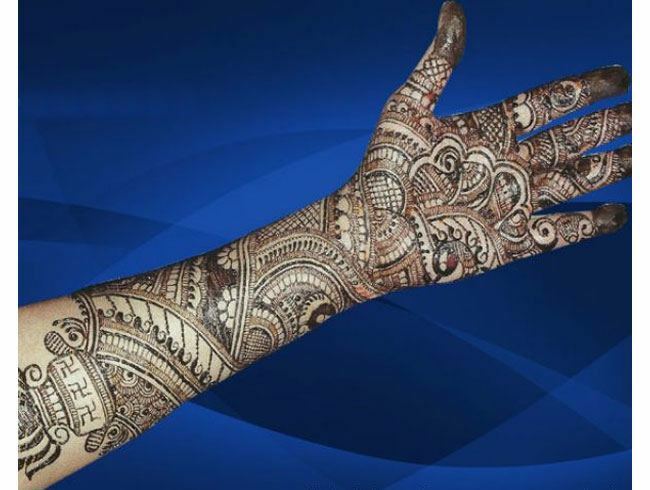 Closer to Rajasthani is the Gujarati mehendi style. As much intricate and detailed, it too extensively uses the peacock motif along with checkered patterns and paisleys. 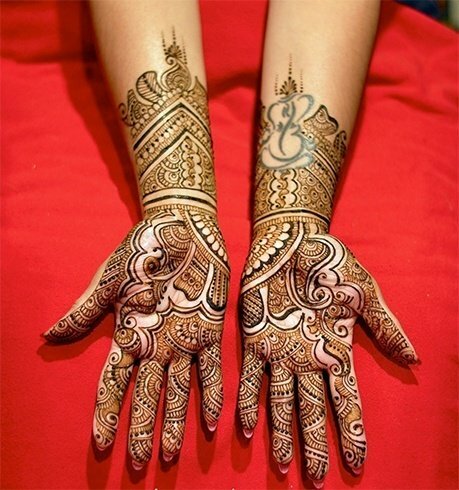 Here also the elaborate patterns of the gujarati art are reflected in the mehendi designs. Some artists also recreate intricate rangoli patterns in their designs. Another intricate form is the Punjabi style, mainly applied during weddings and Karva Chauth. The designs here again are quite unique in themselves as they glorify the culture and tradition of Punjab. The intricate designs require a lot of practice if it has to be applied flawlessly. Each design here tells a story. 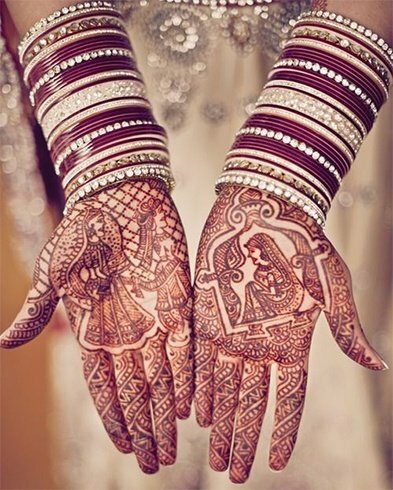 A bridal mehendi design has a bride and groom at the heart of the design. 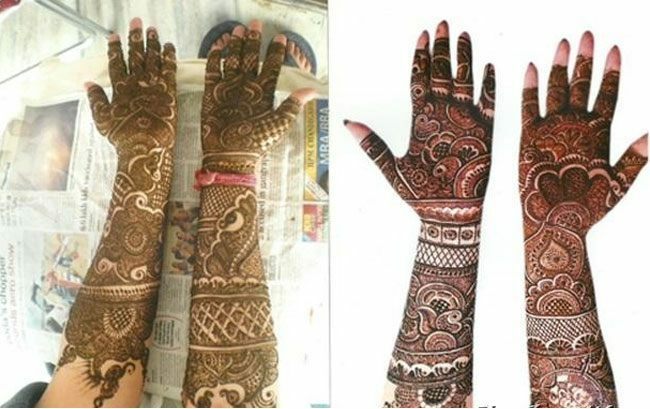 From creepers and leaves, to paisley designs and circular motifs, Punjabi mehendi designs are unique in themselves, and are just a physical manifestation of the fun-loving happy Punjabi culture.